Submarine Sindhurakshak blown off with two blasts possibly due to either or mixture of ammunition, Liquid oxygen and hydrogen it carries along. The blast sound was so loud and deafening that it was heard all along South of Mumbai. After the blast submarine sank deep in the Indian ocean. 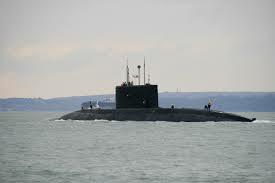 Hope India soon recover this great loss of INS Sindhurakshak with some other better and powerful submarine. Loss of life is again a huge loss and can never be compensated. Was really a bad day for the navy of India and India as a whole.